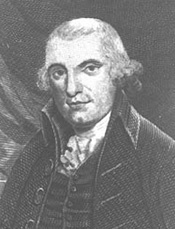 Elhanan Winchester was a Baptist preacher and a founder of the Society of Universal Baptists and the United States General Convention of Universalists. In his “The Outcasts Comforted – Sermon to the Members of the baptist church, who have been rejected by their Brethren, For holding the Doctrine of the final Restoration of all Things” from 1782 Winchester argues that both Calvinism and Arminianism are only partly right – but put together they form the complete gospel of universal reconciliation. For holding the Doctrine of the final Restoration of all Things. Published at the earnest Desire of the Hearers. But this I confess unto thee, that after the Way which they call Heresy, so worship I the GOD of my Fathers, believing all Things which are written in the Law and the Prophets. Acts 24: 14. Isaiah 66:5. Hear the Word of the L O R D, ye that tremble at his Word; your Brethren that hated you, and cast you out for my Name’s Sake, said, Let the L O R D be glorified, but H E shall appear to your joy, and they shall be ashamed. Oh what comfortable Words are these! Words sufficient to cheer the hearts of the mourners, and to cause the outcasts to rejoice. Here is an invitation to those who tremble at the Word of the Lord, they are called to hearken to the cheering voice of their God, who promises to appear to their joy, and to the shame of their brethren, who cast them out, under a pretense of glorifying God thereby. Let us in the first place inquire into the characters of those who are spoken to in the words of my text; they are such as tremble at the word of the Lord. And how often doth our Savior say, “He that humbleth himself shall be exalted.” Matthew 23:12. Luke 14:11; 18:14. There is nothing so contrary to God as a proud haughty Spirit, but he delights in the humble: Let us therefore humble ourselves under the mighty Hand of God, that he may exalt us in due time; yea, let us be clothed with humility, for God resisteth the proud, and giveth grace to the humble. I Peter 5:5, etc. The nearer beings are to God, the more humble they are; and the farther from him, the prouder. A better instance to prove this can hardly be found than that of Michael the Archangel. Contending with the devil (or Lucifer) he disputed about the body of Moses, yet dared not bring a railing accusation against him, but said, “The Lord rebuke thee.” – Jude verse 9. But Satan is said to be the “Accuser of the brethren, which accused them before God day and night.” – Rev. 12:10. See Michael the nighest being to God, and Lucifer the farthest from him; one filled with the profoundest humility, and the other with most daring pride and insolence; Michael not daring to bring a railing accusation against the devil himself, yet the devil daring to accuse the brethren day and night before God. The difference is amazing, and is a proper looking glass for us all. Pride is the image of Satan, humility the image of Christ, in which all beings stand that are conformed to him, in proportion as they are so. and to obey God rather than men. I think these are the true marks of those who tremble at the word of God. Happy are they who answer this description! We are assured in the sacred pages, that reproach and persecution must infallibly be every living Christian’s lot; and the Savior of mankind has pronounced a blessing to those who meet therewith for his sake, saying, “Blessed are they which are persecuted for righteousness sake, for theirs is the Kingdom of Heaven. Blessed are ye when men shall revile you, and persecute you, and shall say all manner of evil against you falsely, for my sake: Rejoice, and be exceeding glad; for great is your reward in heaven; for so persecuted they the prophets, which were before you.” – Matthew 5:10, 11, 12. “Blessed are ye when men shall hate you, and when they shall separate you from their company, and shall reproach you, and cast out your name as evil for the Son of Man’s sake. Rejoice ye in that day, and leap for joy; for behold your reward is great in Heaven; for in like manner did their fathers unto the prophets. Luke 6: 22, 23. And Jesus assured his disciples, that they must continually expect hatred, calumny, and persecution, from the men of the world. Some of his intimations of that kind, I will repeat to you: “And ye shall be hated of all men for my Name’s sake,” – Matthew 10:22; 24:9; Mark 13:13; Luke 21:17. “It is enough for the disciple, that he be as his master, and the servant as his Lord. If they have called the master of the house Beelzebub, how much more shall they call them of his household?” – Matthew 10:25. “If the world hate you, ye know that it hated me before it hated you. If ye were of the world, the world would love his own; but because ye are not of the world, but I have chosen you out of the world, therefore the world hateth you. Remember the word that I said unto you, the servant is not greater than the Lord. If they have persecuted me, they will also persecute you; if they have kept my saying, they will keep yours also. But all these things will they do unto you for my Name’s sake, because they know not him that sent me.” – John 15:18, 19, 20, 21. “These things I have spoken unto you, that ye should not be offended. They shall put you out of the synagogues, yea, the time cometh that whosoever killeth you, will think that he doth God service. In the world ye shall have tribulation.” – John 16: 1, 2, 33. And the apostles of Christ experienced these things, and taught all Christians to expect the same. St. Paul, after speaking of his own trials (lest any should think them peculiar to Paul and the apostles) adds, “Yea, and all that will live godly in Christ Jesus, shall suffer persecution.” – II. Tim. 3:12. And St. Peter says, “If ye be reproached for the Name of Christ happy are ye; For the Spirit of Glory and of God resteth on you. On their part he is evil spoken of, but on your part he is glorified.” – I Pet. 4:14. And St. John observes that, “Cain was of that wicked one, and slew his brother; and wherefore slew he him? (saith he) because his own works were evil, and his brother’s righteous.” And then he adds, very pertinently, “Marvel not, my brethren, if the world hate you.” – I John 3:12, 13. What St. Paul said concerning Ishmael the mocker, remains still as true as ever, “But as then, he that was born after the flesh, persecuted him that was born after the Spirit, even so it is now.” – Gal. 4:29. We have experienced something of what the spouse did; for she says Sol. Songs 1:6 – “My mother’s children were angry with me.” It has been the unhappy case almost ever since Christianity has been known in the world, that its professors have been exceeding divided in their judgments, and not only so, but they have reproached, reviled, censured and persecuted one another in the most dreadful manner; many times even to death, and where they have not had that in their power, they have often shown by their bitter words, hard speeches, false accusations, and malicious reproaches, what they would have done if they could. Strange as it may seem, the best profession in the world has been abused and made the occasion of more war and bloodshed in Christendom for many centuries, than all other things put together. One great cause of so much unprofitable contention is that Truth has been divided, torn to pieces and sometimes even lost in the debates raised about it. One party has had some truth, another has also had some, but each thinking they had the whole, have endeavored to overthrow all that their antagonists held; both have been dividing the living child of truth, under a notion that it was found no where but with them. Thus each have opposed the truth in each other under the notion of its being erroneous. On the contrary, we say that all denominations have it among them in part and those divided parts brought together just make up that collection of truths that we believe. One will say, God loves all his creatures without exception, that he is good to all and his tender mercies are over all his works. Another will maintain that all the objects of his love must finally come to the enjoyment of himself; and that his mercy endureth forever and cannot fail. We heartily believe both these testimonies. One will assert that Christ died for all, tasted death for everyone; the other, that Christ shall see of the travail of his soul, and shall be satisfied, and that all for whom his blood was shed shall be cleansed thereby. All this we steadfastly believe. One will declare that God willeth that all shall be saved and come to the knowledge of the truth; the other, that whatever God willeth, must be accomplished at last. None can say with truth, that we deny either of these assertions. One will say that God at first purposed all his creatures to praise and glorify his Name to all eternity and to be happy in the enjoyment of himself. The other will declare that the purposes of God must stand, that with God there is no variableness, nor shadow of turning. That he is of one mind, and that none can turn him and that what his soul desireth that he will do. We freely consent to the truth of all this. One will say that God would have all if he could, that his will is good towards all; the other will assert, that he is infinitely able to do all that he pleases, and that he could bring all to him if he would. And do not we as fully believe both of these positions, as we do our own existence? One will declare that the blood of Jesus Christ was freely shed for all; the other, that his blood is infinitely sufficient to cleanse and purify all. This is what we believe. Our belief respecting the restoration of all things is not only founded upon the plainest letter of scripture (as all may see, who will be at the pains to read over the printed collection of texts) but is exactly according to the experience of every Christian. For let me ask any who were ever made to experience the love of God shed abroad in their hearts, by the Holy Ghost, these questions: Did you not at that time see and feel yourselves the vilest of all sinners, even the most stubborn and rebellious of the human race? Did you not view the love of God infinitely full, free, unmerited, and undeserved? Did you not behold in Christ an infinite fullness, sufficiency and willingness to save all? Did you not earnestly long that all might come and partake of his grace? If you had as much power as good will, would you not have brought all to bow to the scepter of grace, and to be reconciled to their God through Jesus Christ? Did you not feel a disposition to pray for all men, that they might be saved? To these questions all new born simple souls, who have ever tasted of love divine, would answer in the affirmative, with all their hearts, if they were not led aside by some system. Now then let me say, from whence do these views and desires come? Certainly from the ocean of all goodness can a small drop then be larger than the unfathomed abyss of love? Have you more compassion towards your fellow-creatures, than their creator, to whom they are all nearer than children are to their parents? Would you bring all to submit to God, and be happy, if you could? And will not he to whom nothing (that he pleases to do) is impossible, bring all his creatures to be reconciled to himself? Has he taught us to love all, even our worst enemies? And does he not love all himself? Has he taught us to pray for all that they might be saved? And will he never hear nor answer those prayers, put up in the name of Christ, agreeable to his will? Has he taught us to do good to all? And will he not much more do good to all? Has he taught us to be more perfect than himself? Has he provided so much for the bodies of all, and nothing for the souls of the most of his creatures? Will he suffer his gracious designs to be frustrated and thereby lose his labor? But above all will he suffer his words, his promises, his oaths, to made null, void and of none effect? God forbid. “God is not a man that he should lie, neither the son of man that he should repent. Hath he said, and shall he not do it? Or hath he spoken, and shall he not make it good?” – Num 19:23. “And also the strength (or eternity) of Israel, will not lie nor repent: for he is not a man that he should repent.” – Sam 15:29. “For the gifts and calling of God are without repentance.” – Rom. 11:29. Now if we attend to the plain letter of the scripture, we shall find that God hath declared that he will “make all things new; that he will gather together in Christ all things born in heaven and on earth; even in him who having made peace, through the blood of his cross, shall have that great honor to reconcile all things to God, both which are in heaven and on earth; yea, he hath sworn by himself, that to him every knee shall bow, every tongue shall swear.” – See Rev. 21:5; Ephesians 1:10; Col. 1:20; Isaiah 14:23. Then when all things shall be made new, gathered together in Christ , reconciled to God, brought to bow the knee and swear to him; shall that glorious passage, Rev. 5:13, be fulfilled. “And every creature which is in heaven, and on the earth, and under the earth, and such as are in the sea, and all that are in them, heard I saying, blessing, and honor, and glory, and power, be unto him that sitteth upon the throne, and unto the Lamb for ever and ever.” O what a glorious day will that be! The distant thought of which fills us with the greatest joy and satisfaction. If “there is joy in heaven over one sinner that repenteth,” what unknown, what inconceivable joy shall there be when all that have sinned against their great creator, shall repent, acknowledge him to be wholly just, and themselves entirely to blame, fall at his feet, and swear allegiance to their righteous sovereign; never more to rebel against him to all eternity! O glorious period, when the chordage of all hearts shall be taken in hand by God himself, and tuned to his never ceasing praise! But could we believe that sin and misery should endure to all eternity, that the blessed God, worthy of all praise, from all intelligences, should be hated by vast numbers of the beings he hath made capable of loving and serving him, and that to all endless ages, we should be filled with the greatest sorrow imaginable! For even when we see poor miserable wretches, under the power and government of Satan, profaning and blaspheming the name of God, it fills our hearts with grief inexpressible; how inconceivable would our distress then be, if we could be made to believe, that they must, to all endless ages, continue in rage, blasphemy, and despair! But glory to God in the highest, we believe that the wisdom, power, and goodness, of the ever adorable JEHOVAH shall shine most gloriously, in the entire destruction of all evil, and total subjection, and complete restoration of all his creatures. “We believe, and therefore we speak.” Great is our joy; though we are despised, rejected, and treated with contempt by many for the gospel’s sake which we believe, yet we would not part with the satisfaction we find therein, for all the glories of the world, and the applause of all mankind. Many say, “What need have we to care about what becomes of others? If we are happy ourselves, that is all that we need to seek after or be concerned about.” This language well enough becomes those that have a religion founded in selfishness, or those who have narrow notions and ideas of God’s love, supposing it to be confined to them and their party; but it is as opposite to the true Spirit of Christianity, and the language of those who dwell in “love, and dwell in God”, as darkness is to light, evil to good or Satan to Christ. The Spirit of Jesus teaches us to fulfill the royal Law, “Thou shalt love thy neighbor as thyself.” Christianity leads us to seek the salvation and happiness of all; and certainly then to rejoice in the welfare of all; and he who is not willing that God should bring all to love, praise, and enjoy him; nay, who would not be ready to wish, at least that the doctrine of the restoration might be true, discovers a temper very different from Christ, who died that sinners might be restored; and from Moses, who begged the Lord to pardon Israel’s sins; and if not, to blot him out of His Book; and from St. Paul, who could with himself accursed from Christ, for his brethren, and kinsmen according to the flesh. See Exod. 32:32; Rom 9:3. The nature of grace leads us to desire the happiness of all our fellow creatures; this is known to all experienced Christians; and I suppose that the joy in heaven will continue increasing, as the divine work of the restoration goes on and will not come to its highest pitch, till every creature in the universe shall be brought willingly to submit to Jesus and be made happy in His love. And in I Cor. 4:5 – “Therefore judge nothing before the time, until the Lord come, who both will bring to light the hidden things of darkness, and will make manifest the counsels of the hearts; and then shall every man have praise of God.” St. James speaks to the same purpose saying, “There is one lawgiver, who is able to save, and to destroy; who art thou that judgest another? – James 4:12. We read, “He that believeth not shall be damned.” – Mark 16:16. But where do we read that we shall be damned for believing “the restitution of all things, which God hath spoken by the mouth of all his holy prophets since the world began?” – Acts 3:21. St. Paul says, Rom. 10:9 – “That if thou shalt confess with thy mouth the Lord Jesus, and shall believe in thy heart, that God hath raised him from the dead, thou shalt be saved.” Now it is evident that we confess Christ Jesus with our mouths, and God knows that we believe in our hearts, that he was raised from the dead, by the Almighty power of God. We can freely subscribe to the articles of the creeds used in the Protestant church; where then is our belief defective? Surely we believe in God the Father, one Lord Jesus Christ, the Holy Ghost, etc. But it is said, that we shall be damned for believing too much; that is what we cannot believe, because we receive nothing as a matter of faith or practice, but what we look upon to be plainly expressed in the very letter of the scripture; our belief is according to the ideas we have of infinite wisdom, power, and goodness united, and every way worthy of the God we adore. The very Spirit of the whole Bible holds forth to our view the doctrine that we profess; and even upon a supposition that we are mistaken, we cannot think that our God will cast us off, for having too grand and exalted ideas of his character, and the prefections of infinite wisdom, power, and goodness, of which he is possessed. It is said that we bring in damnable heresies, etc. The words “damnable heresies” occur but once in scripture, viz. in II Peter 2:1 – “But there were false prophets also among the people, even as there shall be false teachers among you, who privily shall bring in damnable heresies, even denying the Lord that bought them, and bring upon themselves swift destruction.” Surely this character cannot fairly be applied to us; we trust that we do not deny the Lord that bought us; but we may observe that the Lord bought even the persons who denied him; which proves something very different from what the text is usually brought for. The word “heresies” is mentioned in I Cor. 11:19 – “For there must be also heresies or sects among you, that they which are approved may be manifest.” But nothing can be concluded from that passage against us, as heresy seems to signify only a division or sect, and if we are heretics for being divided from other churches, all Protestant churches are heretics for separating from the church of Rome. And indeed it is come to that pass in the world, that the church of Rome declares all damned, that die out of the pale of the same; and many Protestants declare that all are damned who die in it. Thus how shall unlearned people know what to believe, when the learned differ so much? We say, “That God is no respecter of persons; but as in every nation, so in every denomination, him that feareth God and worketh righteousness is accepted before him.” Christ is not confined to any outward church, but hath his precious ones in all. The word “heresies” is mentioned in Gal. 5:20, joined with adultery, fornication, uncleanness, lasciviousness, idolatry, witchcraft, hatred, variance, strife, seditions, envyings, murders, drunkenness, reveling, and such like, which are the fruits of the flesh; heresies are reckoned in the number, and are therefore akin to those abominable vices; but surely no person that understands our belief, can suppose that it has any connection at all with that catalogue of sins; but, on the other hand, that it leads to the strictest holiness. St. Paul in his epistle to Titus 3:10, 11 – “A man that is an heretic, after the first and second admonition reject; knowing that he that is such is subverted, and sinneth, being condemned of himself.” It appears plain from these words, that a heretic is one who sins in such a manner, as not only to be known, and rejected by others, but to be self condemned; and even then he was not to be rejected till after the first and second admonition. But we can say (I believe) with truth, that we are not self condemned for our principles; our hearts do not condemn us, for believing that he who has conquered our stubborn wills, will finally conquer, and bring into subjection to himself all his creatures. Yet we are rejected for this innocent belief, and that without one previous admonition, or any conviction laid before us, to prove that we are wrong. St. Paul, in Acts 24:14 – “But this I confess unto thee, that, after the way which they call heresy, so worship I the God of my Fathers, believing all things which are written in the law and in the prophets.” So we find that heresy is an ancient name for true religion, and that a man may believe all that Moses and the prophets have written, and truly worship God, and yet be charged with heresy; which is the case with us at this time; for we sincerely believe all that the scriptures declare, as we understand them, and endeavor to worship God through Christ, according to his directions; yet we are charged with heresy. (note– As for the word heresy, it has been used for so many different things, and on so many occasions, that nothing can be concluded against any persons on the account of their being called heretics; for it is well known, that all kinds of opinions in matters of religion have been branded as heresies; those who have the power in their hands, always esteem themselves orthodox, and call those whom they oppress and persecute heretics; and it frequently happens that what is called orthodoxy in one nation, is called heresy in another; and what is praised and extolled for truth in one age or generation, is condemned for error in the next; yea sometimes in the same age, under different administrations of government, each party will have an opportunity of persecuting the other as heretics. And it is well known in the world, that not only religions, but philosophical sentiments, have been called heresies; among the ancient fathers, the opinion of there being antipodes, or people who inhabited an opposite part of the earth from that where they dwelt, was looked upon absurd, blasphemous, and heretical; yet we know the truth of it now with certainty. Columbus was excommunicated by the Pope’s bull as a heretic, for daring to believe that there was a western passage to China, and for the wild design that he had of seeking a new country, etc., but what a loss would it have been to mankind, if he and all others, had been (through fear of the curses of the church) deterred from making discoveries? Galileo, the famous improver of telescopes, because he was convinced of the Copernican System by the discoveries he made, was sent for to Rome, as being a dangerous heretic; and was there obliged to renounce his belief of the sun’s being fixed in the heavens, and that the earth and planets performed their revolutions round it, etc., and upon his relapsing into his former errors again after his return home, etc., and upon his relapsing into his former errors again after his return home, he was sent for the second time to Rome, imprisoned in the inquisition (it is a wonder he was not burnt for his heresy) and when released from prison, was ever afterwards confined to certain limits, as a very dangerous person, and forbid to propagate such heretical notions.–end of note) But that is but a small matter. The worst heresy is that of the heart, which is a selfish, envious, proud, wrathful and worldly Spirit; from which if we are entirely delivered, there is nothing that can harm us. It is not melancholy to think, that different sentiments respecting religion should cause hatred and persecution? Yet this we find to be the case; and especially we see, that the doctrine that we hold, raises the enmity of mankind more than any thing else; this, it is likely, is because it proclaims the entire destruction of Satan’s kingdom at last. What makes our trials the more grievous, is the same consideration that David had, “For it was not an enemy that reproached me; then I could have borne it; neither was it he that hated me, that did magnify himself against me; then I would have hid myself from him; but it was thou, a man, mine equal, my guide, and mine acquaintance: we took sweet counsel together, and walked unto the House of God in company.” – Psalm 55:12, 13, 14.
Who could have thought that those with whom we were united, should so soon separate us from their company, since we were willing to allow every one liberty of thinking, and freedom of conversation, and had no desire to break fellowship with any of them? But we may learn thereby not to trust in the warmest professions of friendship. Jer. 9:4 – “Take ye heed every one of his neighbor, and trust ye not in any brother; for every brother will utterly supplant, every neighbor will walk with slanders.” And the prophet Micah speaks in much the same language, saying, “The best of them is a brier, and the most upright is sharper than a thorn hedge; trust ye not in a friend, put ye not confidence in a guide; keep the doors of thy mouth from her that lieth in thy bosom.” – Micah 7:4, 5. But let us attend to the comforting words of the Lord, in conclusion of my text, “But he shall appear to your joy, and they shall be ashamed.” Blessed by God, he does not despise the outcasts; he forsakes not those who tremble at his word, even though they are rejected by their brethren. God is never nearer at hand to his children, than when they are in the midst of the furnace of affliction. “But he shall appear to your joy.” O my brethren, have we not abundant reason to believe that God will appear to our joy? Has he not manifested himself already in our hearts? Do we not feel his presence with us? He has already discovered to us more of the beauty of religion than we formerly knew; more of the nature and necessity of that saving change, without which none can enter into the kingdom of heaven; these discoveries give us great comfort, and an earnest desire to be perfectly conformed to that divine being, who hath thus far appeared to our joy and satisfaction. Blessed be God, we trust the time is at hand, when the Lord will appear more abundantly to our joy, and cause his power to be known through the earth, when he will build up Zion, and appear in his glory, and destroy antichrist with the spirit of his mouth, and the brightness of his appearing, and spread the glorious gospel of his universal love and power, through the earth; and cause that blessed doctrine now so much despised, to be heard and received from pole to pole, and the whole world to submit to the Savior of mankind, who died to restore all to God again. Will not those then be ashamed, who have hated us, and cast us out for belief of God’s universal love, when the knowledge thereof shall be as universal as the light of the Sun? But, oh, when Christ shall appear to judge the world, what account will they be able to give him of their conduct towards us? He will then put to silence the ignorant cavils, and hard speeches of men, who have set themselves against his truth. Will they be able to answer him, when he shall say, “Who hath required this at your hands?” But God is good, and just; therefore to him we would refer the whole matter. I shall now close the whole with an address to you who have been hated and cast out by your brethren, for the glorious cause of Jesus Christ, and the profession of his gospel of universal love; called “damnable heresy” by many. You have been highly favored of the Lord, not only in having experienced the truth in your hearts, but in being called to stand as witnesses of the everlasting, universal, restoring love and power of our dear Savior. You have already suffered much of your brethren, and have been rejected by them. Thanks to the providence of God, we live in a country where we are allowed to worship according to our own consciences, and none can hinder us. But though we may not expect to meet with imprisonment, banishment, confiscation of goods or death, at present, yet we may expect, as we have already experienced, what the Apostle Paul calls “cruel mockings,” reproaches, revilings, slanders, censures, and the unbounded rage and persecution of the tongue; which is frequently worse to bear than death itself, as the experience of many testifies, and therefore it is called by St. Paul “cruel,” in preference to all other kinds of sufferings. Arm yourselves therefore continually with humility, meekness, universal benevolence, and unfeigned resignation to the will of God; and then you will not only be able to bear all that the rage and malice of men can cast upon you, with patience, but will be able to repay them all with loving kindness. You must expect that the adversary of mankind will try his utmost to draw you off from the truth; for he is loth to have it known in the world, that he is a conquered potentate, and that his kingdom must one day be entirely destroyed; and as he has for a long time kept the doctrine of the final restoration of all things, hid and covered, so you may expect he will greatly rage against it now it begins again to appear. But fear not my brethren, the cause is God’s and not ours; let us commit ourselves into his hands, who is able to keep us from falling, and to give us the victory over the powers of darkness, through the blood of the lamb, and the word of our testimony. Finally, as our religion calls us to the greatest purity and holiness imaginable, even to be clothed with the image and nature of Christ, let us endeavor to enter into the Spirit of the Gospel continually, that we may grow more and more into the likeness of the Savior, that when he shall appear, we may rejoice in his coming, and not be ashamed.